8 ounces cooked sausage* (I used 2 of the pre-cooked organic chicken Italian sausages from Costco), diced or crumbled. *I recommend buying these ingredients organic where available to avoid pesticides, GMOs and questionable farming practices. Nutrition information is calculated per-muffin, is approximate and may vary based on the freshness and brand of your ingredients. Nutrition information calculated at: Calorie Count. Whisk eggs in a medium bowl. Mix in diced meat and vegetables. 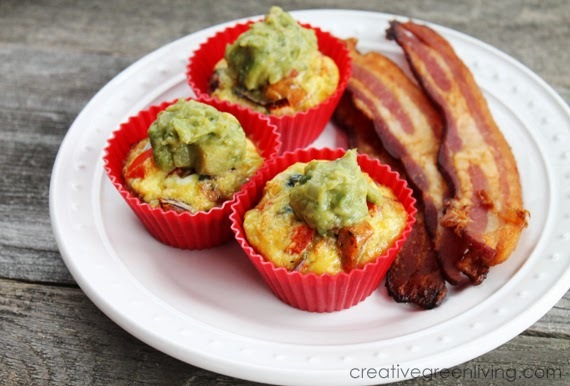 Line a muffin tin with Silicone Baking Cups and spray with olive oil. Fill cups to just below the rim and bake 18-25 minutes. 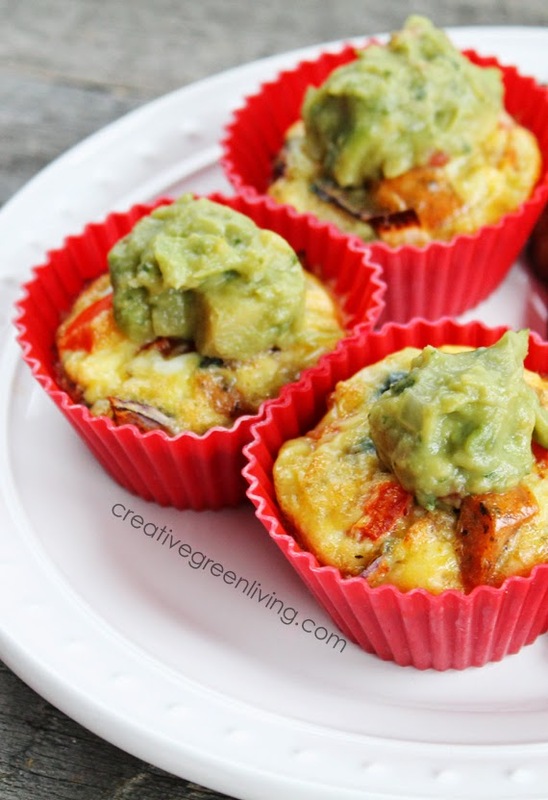 Serve hot with guacamole or allow to cool completely before removing from baking cups and placing in a large zipper bag to store in the freezer.